Well do the sailboat orientation before or after breakfastyour choice. Well also go over the cruising chart and guide books and answer any questions you may have. SUNDAY, getting started  Please refer to the one-week itinerary for more detail. Caleta Partida  This island, between Espiritu Santo and Partida, is 23 miles away. It is important that you leave the dock at the latest by 1:30 p.m.
Espiritu Santo  If you leave by 2:00 p.m., you can still make San Gabriel, its southernmost anchorage, which may be limited depending on the time of year. Falso  Leave no later than 3 p.m. Youll find it about two hours away near the ferry docks, just outside of La Paz bay. 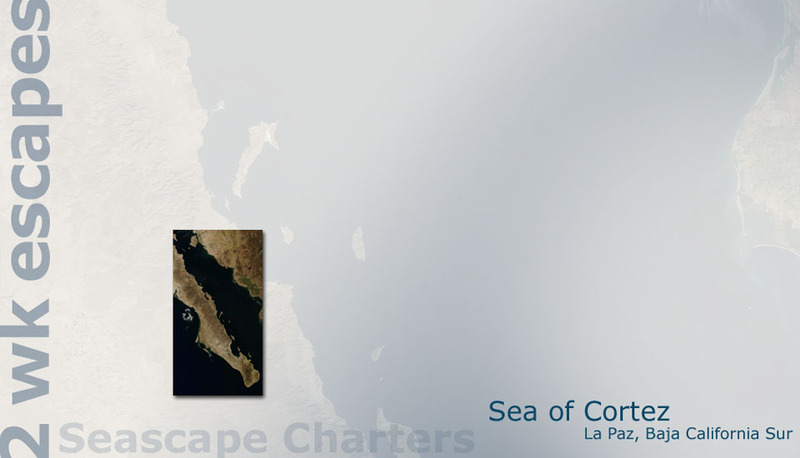 CALETA PARTIDA  do some sailing and/or fishingits only a short distance to your next anchorage at Ensenada Grande. If you have only made it to San Gabriel, by-pass Caleta Partida and go to Ensenada Grande. You might want to anchor and have lunch at Candeleros on your way. ENSENADA GRANDE  take the kayaks out, walk the beach and do some rock climbing. Tuck back in as far as feasible. Dont anchor in less than 15 ft. water. LOS ISLOTES, SWIM WITH THE SEA LIONS  be sure you leave Ensenada Grande by 9:30 a.m. so you’ll have plenty of time to stop at Los Islotes (at the north end of Partida island), play with the sea lions and still sail to San Francisco island during daylight.